Looking for a dog groomer? Does your cat have mats? Grooming your pet helps to keep them happy and healthy. A groomer is skilled in knowing the proper tools to use to avoid mishaps that can cause injury to your pets. Here on St Croix our pet groomer provides professional pet styling services to keep your fur family neat and clean. Everyone deserves a spa day! 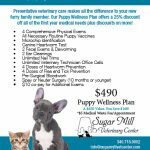 Is your pet boarding with us at the Inn at Sugar Mill? Get 15% off grooming services while your pet stays with us at the Inn!